The essence of the Christian life is Jesus-and when everything you do is aimed at glorifying Him, the life-changing consequences are limitless! 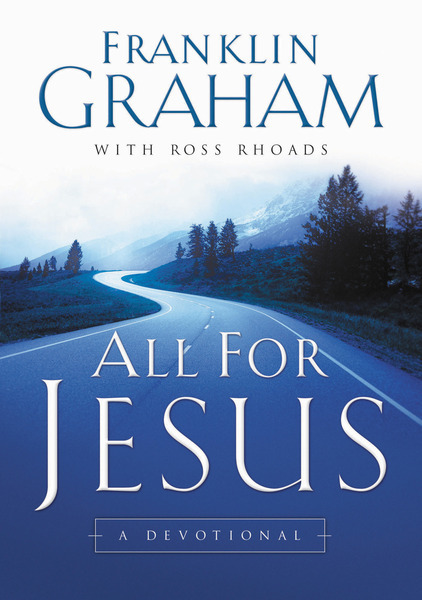 In this new trade paper edition, best-selling author Franklin Graham and Ross Rhoads offer thirty compassionate yet uncompromising devotionals that will inspire and challenge readers to embrace a life devoted to Jesus. Insightful and personal, All For Jesus helps readers develop the qualities of focused, wholehearted discipleship, while showing how to fully embrace a life lived all for Jesus.